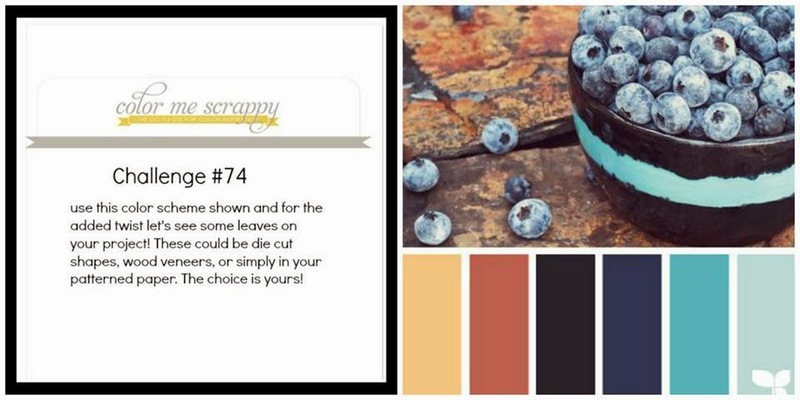 Another beautiful colorboard for this new challenge with Color-Me-Scrappy ! I did go a little over the challenge by adding few more of my favorite colors... pink and orange ! This beautiful paper is made by S.E.I. and I add two stickers by Bo Bunny for title and date. The journaling is vertical on the right side, written with a black Faber-Castell pen. I did the twist of the challenge ! White leaves from the paper ! Try this colorboard and upload your project by the end of the month to have a chance to win a great prize ! Beautiful color scheme, and gorgeous layout! This is AMAZING! 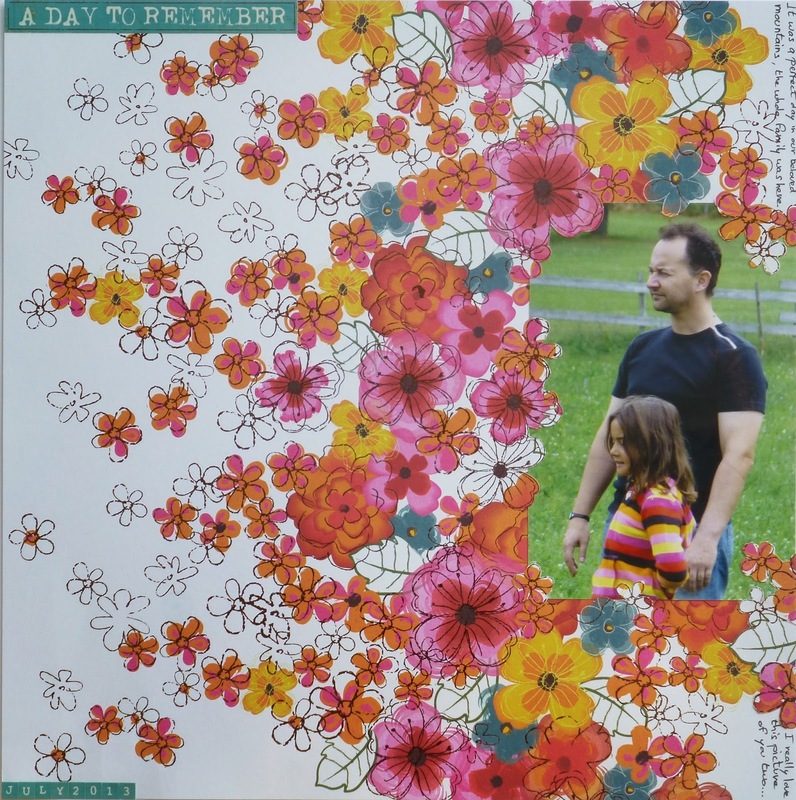 Gorgeous use of the paper, your layout is so beautiful!